The holidays are an exciting time, full of wonder and magic, Christmas songs and yuletide spirit. It’s also a time that plenty of people experience stress, whether it’s about money, people, workload or simply how you are planning to get everyone around the dinner table. It can quickly sour the Christmas spirit and put plenty of parents off enjoying this special holiday. Especially when so much effort goes into it and after one day, it’s all over, with what seems like a mountain of rubbish as the only thing left over. 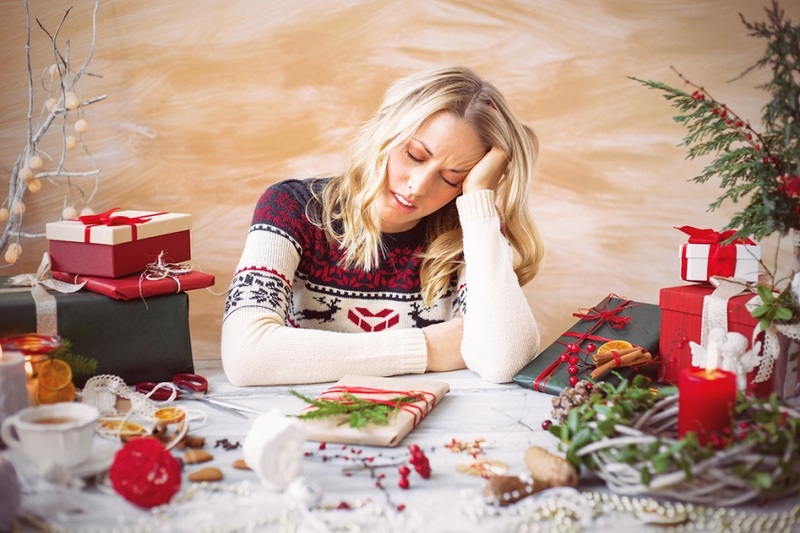 If you are someone that feels your blood-pressure rising, as I regularly do, at simply the mention of Christmas time, consider these tips for keeping calm over the festive holidays. Shopping at Christmas time is one of the hardest ways to spend your day, not only are the crowds densely packed in the hope of a festive bargain but lots of people tend to lose their heads while out over the season. Between pushing and shoving and shoppers treating unsuspecting retail workers with a terrible lack of respect, it can put you off ever stepping out of your house in the month of December. If you enjoy the shopping experience, don’t trust the post or simply need to get out of the house to get the essentials sorted, Google has put together a fantastic tool that lets you see when a specific shop, shopping centre or supermarket is at it’s most busy. If you aren’t able to check the tool, early weekday mornings are always a safe bet before the lunchtime rush or if you are lucky enough to have a 24-hour supermarket or shopping mall near you, very early morning, between 1am – 5am is usually desolate of shoppers. Meaning you can avoid the lines and shop carefree to your hearts content. If you’ve ever tried to get around anywhere on Christmas Eve or Boxing Day or on the day before or after any special event, you know that travel can be more hassle than it’s worth. Rather than plan to travel on the days either side of Christmas, try to plan your travel further in advance and avoid weekends where possible as these will always be busy, whether using rail, road or air. If you plan and book your travel in advance, you may also be able to save money on your travel tickets by getting advance tickets, this can be a considerable difference and give you a little more to spend in the shops on someone special. Your time has value, so avoid getting stuck in the rush hour traffic queues and last-minute cancelled trains and spend less time travelling and more time relaxing this Christmas time. While traditionally Christmas is celebrated on the 25th December, it is up to your family when to gather around, share stories of the year and exchange gifts with each other. If work schedules are not lining up or you know you can’t face the last-minute travel or stressed guests, consider holding your family Christmas on another day between 25th until the 1st January or even before 25th December! The freedom of celebrating a holiday is completely up to you and everyone deserves to enjoy the holiday so consider holding your Christmas day later on and beat the traffic, Christmas crowds and usual stress that goes with the holiday. Feeling the stress already? Want to make yourself feel better? 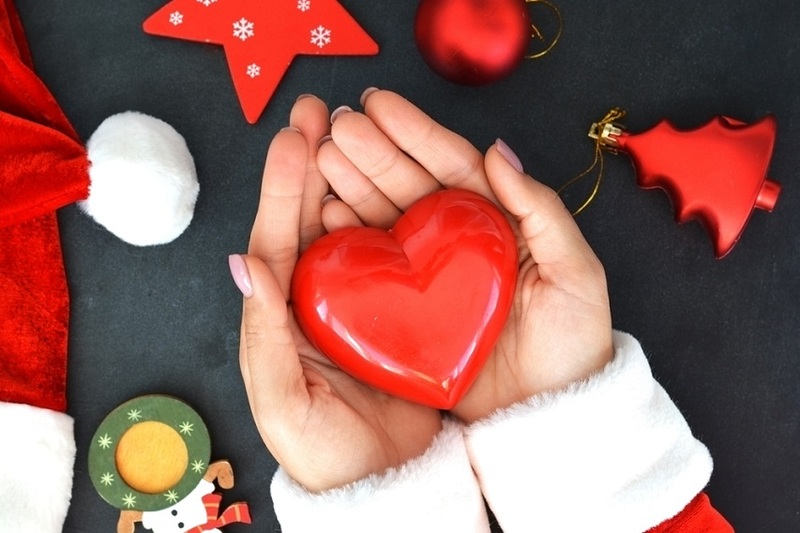 Why not use the giving part of Christmas to give something back? Whether it’s to your community or a specific charity, it’s been proven that generosity, volunteering and showing kindness to each other can make us feel happier. Not only our own good moods, we also have the fantastic benefit of showing someone kindness that may have had a hard year and making their Christmas a joyful time. Christmas is only one day and while the season is an exciting one, there’s no need to stress year after year over the “perfect Christmas”. Instead, focus on getting together with those you care about, supporting people in need and reaching to others in your community that might not have any one else. You’ll find that your stress levels reduce when you aren’t focused on getting everything “just right” and just place attention on enjoying yourself.